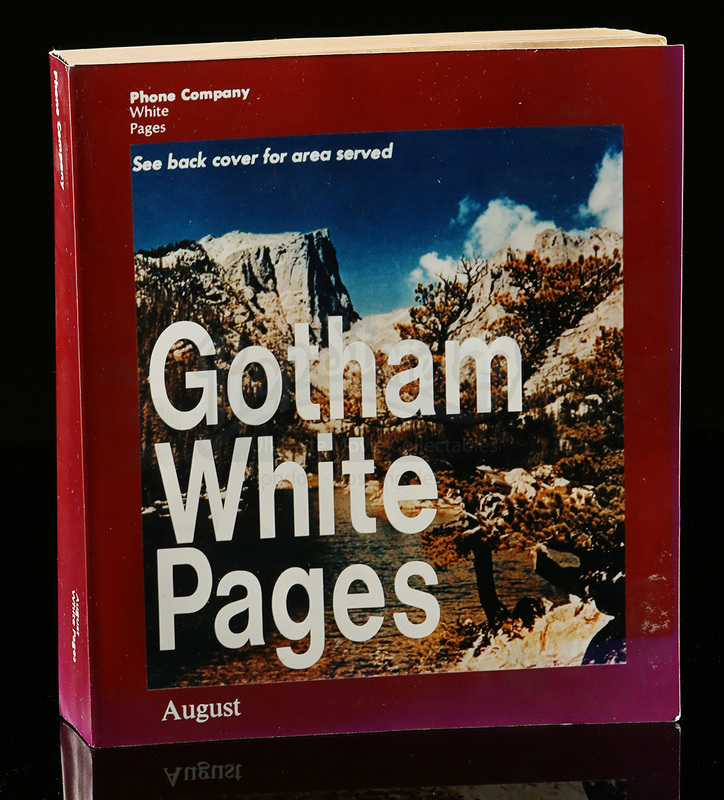 A White Pages book made for the production of Tim Burton’s 1992 superhero sequel, Batman Returns. 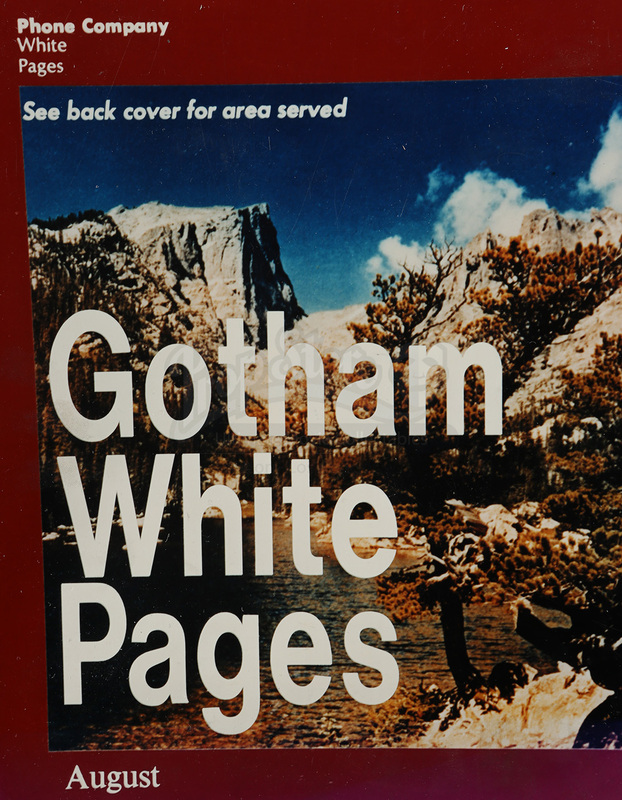 This time around, Bruce Wayne/Batman (Michael Keaton) must face off against the Penguin (Danny DeVito), who has his own version of corrupt politics while Catwoman (Michelle Pfeiffer) stirs up acrobatic mayhem. 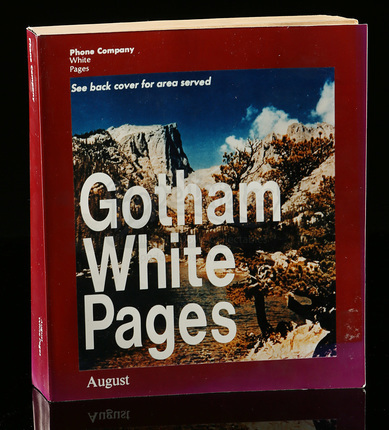 Gotham White Pages books can be found in Selina Kyle’s (Michelle Pfeiffer) apartment while she sits on her couch listening to her phone messages. 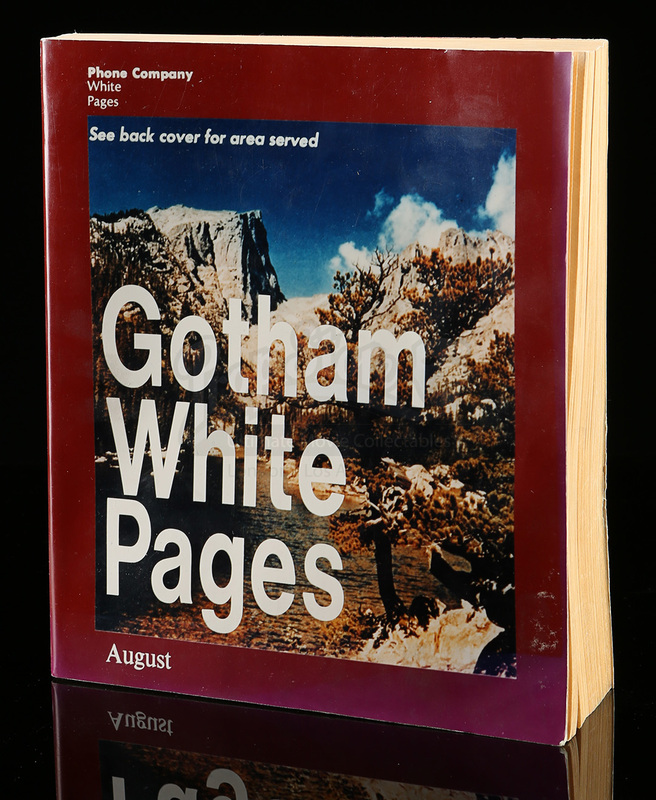 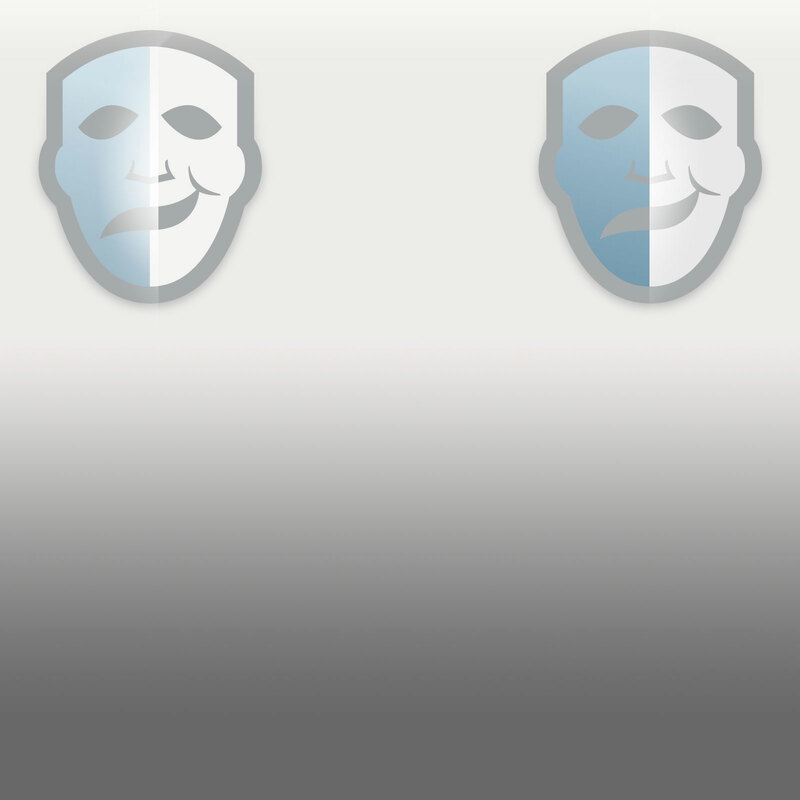 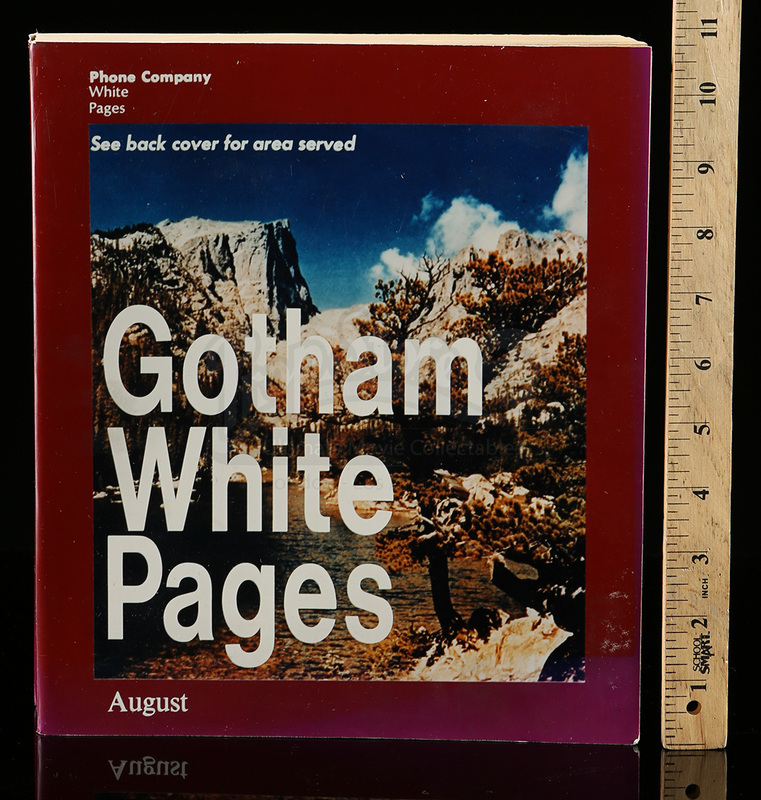 The cover is made from a thick sheet of paper and features large white lettering reading “Gotham White Pages.” The cover is bound around a real white pages book. 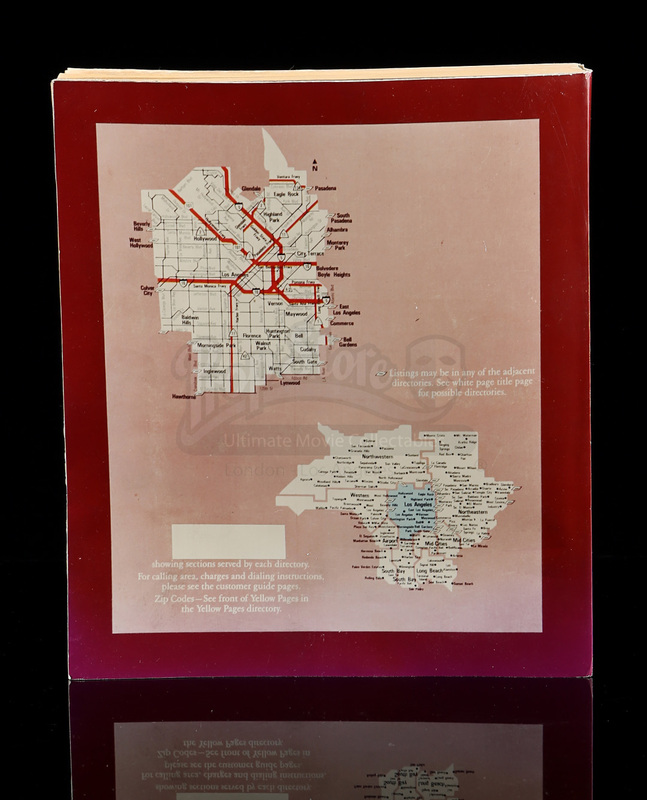 The piece shows some signs of wear from production use and age and remains in good overall condition.